The purpose of this article is not to write a biographical account of Edhi’s life. Rather, we want to list some key qualities which made him the person he was. We want every one of us to learn from Edhi. We wish we can peek through his life and emulate some of his qualities and traits so that we can also reach out to the poor and needy in the way he did. We also hope our children would be inspired by his story, and be motivated to follow suit when they grow up. 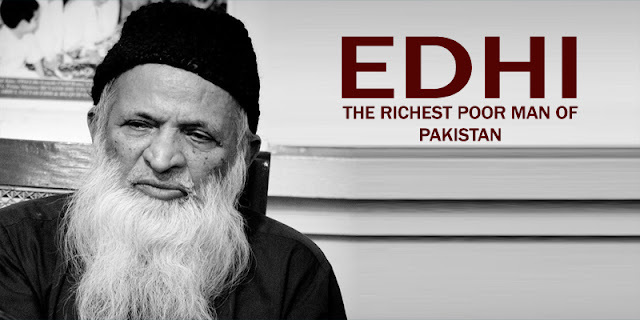 The Edhi Foundation runs some of the most complex emergency and relief operations as its routine business. Edhi ambulances are the first to reach any emergency. Edhi himself was first to be seen on the site of natural disasters. Be it floods, earthquakes, hurricanes or man-made disasters, Edhi Foundation response time is minimum. Thousands of people volunteer for Edhi Foundation in its relief centers, as well as during emergency situations. This requires a huge and sophisticated logistical operation. A simple man that Edhi was, it is inconceivable how he spearheaded this complexity in a completely unnoticeable manner. Edhi single-handedly masterminded it with the will of Allah. He mobilized millions of dollars without sophisticated media, marketing or communication strategy. His branding was his simplicity, honesty, and integrity.